Recognised as one of the most luxurious holiday destinations. The Duke and Duchess of Cambridge and George Clooney and Amal Alamuddin have spent their honeymoons here.The 11 villas on the three kilometre island have been constructed from local takamaka trees complete with rose, pinewood and ylang ylang thatched roofs and granite flooring.Guests can take part in a wide range of activities such as scuba diving, fishing and surfing with excursions to other islands also available. 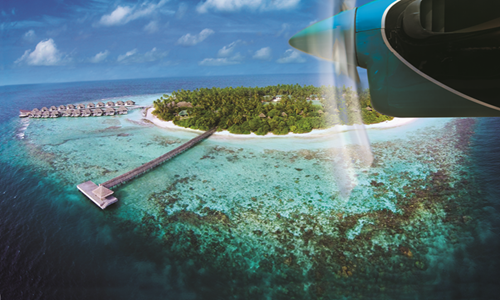 Re-opening in November 2015 after undergoing a full makeover this private island is a paradise for divers. 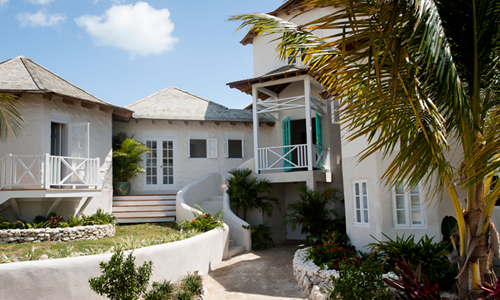 An exotic house-reef is located just metres away from the island brimming with tropical sea life. Divers can experience 30 popular dive sites all within a 40 minute range. Guests can also make use of the Elena by Atmosphere spa with a choice of indoor and outdoor treatment rooms. Visitors can treat themselves to a wide range of therapies, massages and rituals. 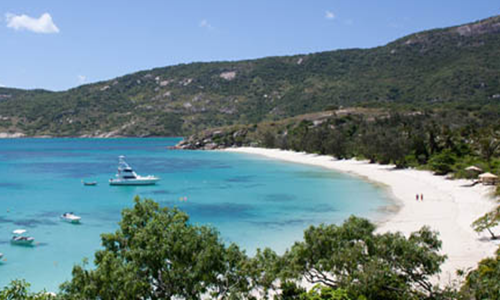 Lizard Island is one of the northernmost and most isolated of Queensland’s island resorts. 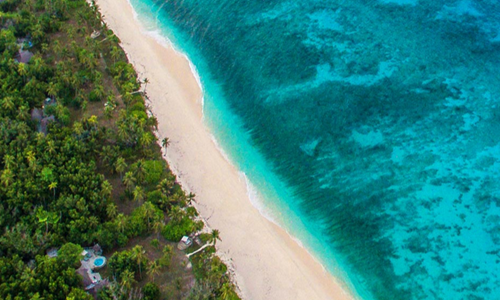 The island boasts 24 powdery white beaches and 40 luxury suites. The island gives you direct access to the Great Barrier Reef from which you can snorkel right off its beaches. Guests can enjoy 5 star cuisine at its Salt Water restaurant and indulgent spa treatments in the Essentia Day Spa. For active visitors the 4 hour return hike to the Islands high point Cook’s Look is well worth the view. This private 96 acre hideaway is separated from the Andros mainland by a turquoise ocean inlet. Visitors can enjoy the lush tropical foliage and the deserted sandy white beaches. Guests can relax on the three miles of private beach or take a swim in the islands freshwater swimming pool. For evening dining visitors can enjoy candle lit Bahamian BBQ beach banquets, fresh fish, tropical fruit and Caribbean cuisine with elegant modern twists. 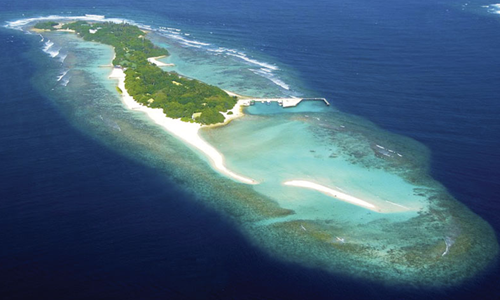 Outrigger Konotta is situated in the crystal waters of Gaafu Dhaalu Atoll. Guests are treated to sights of sea turtles wandering while they relax in their infinity pools and can even have cracked coconuts hand delivered to their accomodation. To relax and unwind guests can visit the islands Navasana spa and enjoy treatments such as calming herbal steams, balancing milk bath and stimulating coconut scrubs. Sir Richard Branson’s Necker Island lies 30 minutes by boat north-east of Tortola. 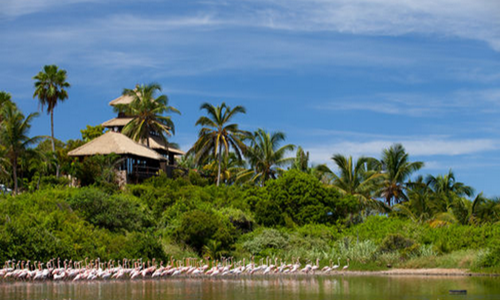 Guest can see a stunning array of wildlife whilst on the island such as lemurs, flamingos, scarlet ibis, tortoises and iguanas. There is a wide variety of activities guests can take part in such as sailing, water skiing, scuba diving, tennis, Pilates, the list goes on! Pampering treatments are also available at the spa. Guests are also treated to different party nights during their stay such as casino nights, beach parties and Moroccan themed nights.